What makes a good software engineer and why have women struggled to make an impact in the profession? What kind of digital footprint do we leave as we roam the internet and does that leave us open to dangers? And can a video game teach us anything about mental illness? Just some of the questions we explore on this week's Tech Tent. It started with an internal memo from a software engineer protesting about Google's diversity policies, it has turned into a crisis for the company and seen America's culture wars expose divides in Silicon Valley. But at the heart of this debate is the question of why so few women end up developing software for major tech firms. For the long view on this question we turned to Dame Stephanie Shirley, who learned to code in the 1950s. 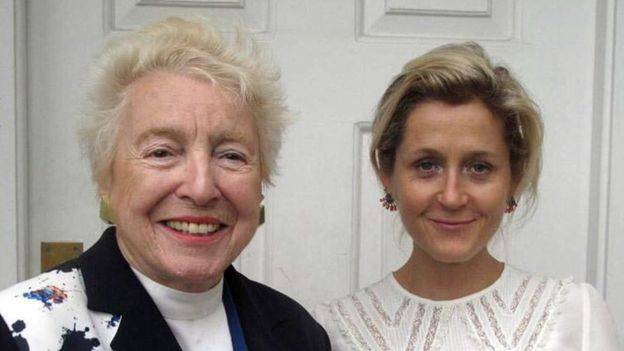 She started her own company in the 1960s - and called herself Steve Shirley as a way of getting through to male clients who, in those sexist days, might not have responded to a business run by a Stephanie. She deliberately employed women as coders and points out that in the early days of computing programming was seen as a female job - "think of all the coders at Bletchley Park in World War Two". Dame Stephanie says she's "disappointed rather than depressed" by the fact that, while attitudes have changed since the days when a government minister tried to pinch her bottom while negotiating a contract, there is still a major gender imbalance in the technology industry. Amongst the reasons she cites are the fact that tech industry has a very macho aura, and not enough girls are doing science and maths in school. An interesting blogpost from a former Google engineer and manager this week argued that the problem is that many in Silicon Valley have got the wrong idea about what constitutes a great software engineer, seeing it as an occupation for obsessive lone geniuses rather than a collaborative process. "Engineering is not the art of building devices; it's the art of fixing problems," wrote Yonatan Zunger. And fixing problems turns out to be all about understanding how people tick, which means successful engineers need the kind of interpersonal skills you may not develop if you rarely emerge from behind your screen. Dame Stephanie Shirley insists that the skills you need to succeed in software development have nothing to do with gender. What is most heartening is to hear how enthusiastic she remains about a career in technology - "It is such an attractive way of life, I've had such a wonderful life that technology has opened for me", she tells us. We are used to the idea that film directors and novelists do extensive research and consult experts about the subjects they explore. But as Tameem Antoniades, co-founder of the Cambridge firm Ninja Theory tells us, that has been relatively unusual in the games world. In developing the firm's new title Hellblade, he brought in Cambridge University professor of neuroscience Paul Fletcher to try to make sure that players of the game would have real insights into what it feels like to experience psychosis. The central character Senua has mental health problems brought on by traumatic events. Her personality and the environment in which she operates were developed after advice from Professor Fletcher and from a group of people who had lived through psychosis. "We just had to make sure we understood the subject as best we could," says Tameem Antoniades. Senua hears voices, and by using binaural audio which mimics the way we experience sound in the real world, Hellblade makes the hallucinations she suffers seem all the more real. Paul Fletcher is impressed with the final result, and says he had long felt that games could be a useful way of explaining mental illness: "They offer quite an interesting perspective to a participant - you're not a passive observer you're actively participating in it." The hope is that Hellblade - as well as being a very immersive work of art - will help change the way we see people going through this kind of illness. The early reviews have been very positive - "the game often seeks to make you feel frustrated, confused, and helpless" said one critic, making clear this was a good thing. Games are growing up. They have already shown they can compete commercially with other entertainment industries, and now they are showing that they can also provide as profound an experience as any movie or play. What kind of personal information do we leave lying around on the internet as we roam the web and use social media? And does that leave us open to all sorts of threats - from identity theft to physical harassment? A few weeks ago a security company offered to study my digital footprint to see how much of my data I'd put online. Digital Shadows produced a chunky 30 page report, with a lot of detail about my social media activity, my family and my connections with colleagues. Having been pretty liberal with my use of social media, I found this unsurprising - after all information such as home addresses is pretty easily accessible via the Electoral Register. But James Chappell from Digital Shadows explained that it was important to "raise the bar" for potential fraudsters by taking simple steps such as turning off geo-location on photos or asking online directories to remove your details. What concerned me far more was that Digital Shadows managed to find passwords for some of my online accounts, either on the dark web or just dumped in various collections of stolen data. In most cases they had been changed long ago, and some were for accounts I no longer use - but James Chappell warned me they could still be dangerous. He explained that if messages can be sent to your friends which look like they're from you, then people can be duped. And one kind of online account is especially important to protect - "once you've got someone's email account you can take over their lives digitally." The stolen data looked like it had come from the hacking of some of the best known firms on the internet, and James pointed out that just about everyone in the Western world who has a presence online was likely to have been affected by those hacks. This week the UK government announced new legislation, mirroring Europe's GDPR, which will allow users to eradicate their personal data from the web. But that is unlikely to help you if that data is held not by a giant corporation but by a group of criminals on the dark web.